As the Donald Sterling brouhaha unfolded this weekend, a common refrain was that he should "have his team taken away from him." The controversy itself isn't terribly interesting to me—we've known for a long time that Donald Sterling is kind of a scumbag, but he's been able to buy indulgences from senior factions of the Grievance-Industrial Complex, so he's gotten away with it. The idea that he should have his property stripped from him for being a jerk* is a fascinating one, though. Anyway, amongst all the fulminating on Twitter during which the Very Serious People** argued for Sterling's property to be stripped from him there was very little discussion about how that would actually work. The only real example people had to reach for came in a different league almost two decades ago (Marge Schott). So there was a lot of "This guy needs to go now!" and very little "This is how the NBA will get this guy to go now!" I had briefly skimmed Wikipedia but hadn't found anything terribly useful. Lacking a decent explanation, I joked, "Where's VOX DOT COM when I need it?" My friend John Tabin helpfully passed along the following link. Matthew Yglesias, it seems, had answered my prayers. Here was the explanatory journalism I needed! "What could the NBA do?" the VOX DOT COM "card" promised to answer. So I clicked, and I read, and oh my, I was disappointed. 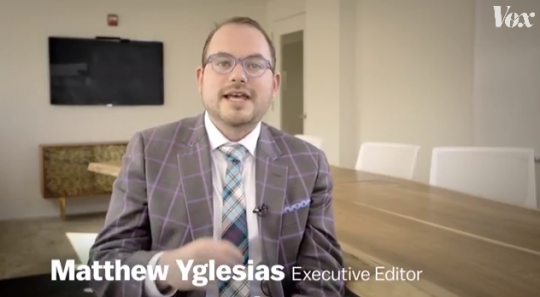 Because Yglesias—who is considered by the Juice Vox set to be something of an authority on the NBA—had put together little more than idle speculation and information that I had found with three minutes of Googling. Sterling bought the Clippers for $12.5 million in 1981 ($32.49 million in inflation-adjusted dollars) and Forbes recently valued the team at $575 million. Just kidding about the previous line; this was super helpful! Or not. To get some actual information I turned to the dread old media: Sports Illustrated. Ugh, these fossils. I bet they don't have any idea how to construct an explanation that will suit the needs of the common man. These "experts" with their "knowledge" certainly couldn't be as skilled as a dude who can Google really well, right? Sneeringly and with low hopes I clicked on the dinosaur-like website—they don't even break down their subjects by "cards," wtf—in order to see if they can add a smidgeon of useful information to the debate. And, wonder of wonders, an actual expert with actual knowledge in the subject did a really, really good job of explaining the steps the NBA could take next. Michael McCann knocked it out of the park. There's all sorts of interesting info here, including a thorough breakdown of the investigation that the NBA will conduct, the controlling laws in California regarding wiretaps, and the threat of a countersuit by Sterling. Among the nuggets that I learned from this non-explanatory-journalist is that the NBA's constitution is confidential, meaning that we really have no idea whatsoever how the league can react or what steps it can take. It's a total black box. While I was thankful for the information, I'm now a bit lost. I'm having something of an existential crisis. I don't know what to believe any more. I was promised that the future of journalism was lightly researched sub-Wikipedia information dumps presented to people who didn't care that they were being condescended to by a bunch of kids with politics degrees from fancy universities. But if a non-explanatory-journalism website is able to put together work of this quality this quickly, well, who knows what the future holds? *I'm being flip: I actually don't have much of a problem with people calling for his ouster and don't consider such calls a part of "the politicized life," broadly construed, because he, a businessman, said that he didn't want part of the population as customers. He's brought this grief on himself and he deserves every bit of it. **The Very Serious People also had a chance to get Very Serious about Sarah Palin this weekend because she made a joke about terrorists getting waterboarded. So much Seriousness! Remember: Twitter is for moral positioning. This entry was posted in Culture and tagged Ezra Klein. Bookmark the permalink.